Black Lives Matter & Co-Founder Patrisse Cullors Present Black Futures Month w/ #BLACKFUTUREIS Campaign + Limited Edition Capsule Collection | RESPECT. Kicking off Black History Month in the best way possible. Black Lives Matter Global Network presents Black Lives Matter Arts+Culture X Black Futures Month with a series of new initiatives including limited edition ‘Black Future Is’ capsule collection and a panel with BLM Co-Founder Patrisse Cullors at NeueHouse. Black Lives Matter Arts+Culture X Black Futures Month pays homage to the theme of afro-futurism, inspiring us to envision, build, and define the Black future, where Black people are liberated. To celebrate Black Futures Month, BLM will launch a ‘Black Future Is’ capsule collection on its official e-commerce store, #BLMShop features a range of hoodies, graphic tees and pins all with the iconic BLM 3 stripe streak. 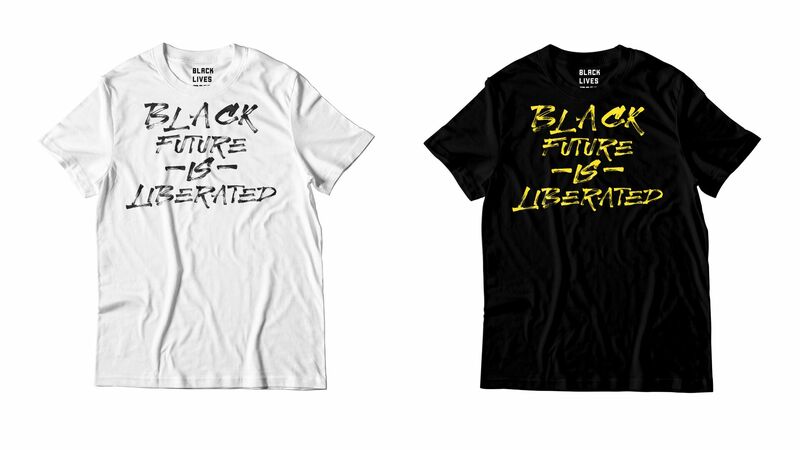 The capsule will allow BLM supporters to curate an idea of their own before purchasing an item, such as “Black Future is youth,” or “Black Future is liberated” graphic designs. Cullors will also host a panel with special guests at NeueHouse discussing social justice and healing through art and how that aligns with the BLM Arts+Culture platform. In the coming weeks of February, the Black Futures Month national #BlackFutureIs PSA campaign will take place and will feature powerful messages from celebrities, progressive activists and influencers which dares us to center love, liberation and freedom. BLM supporters can further enjoy special Black Futures Month content, quotes, and highlights on BLM social platforms and www.blacklivesmatter.com.